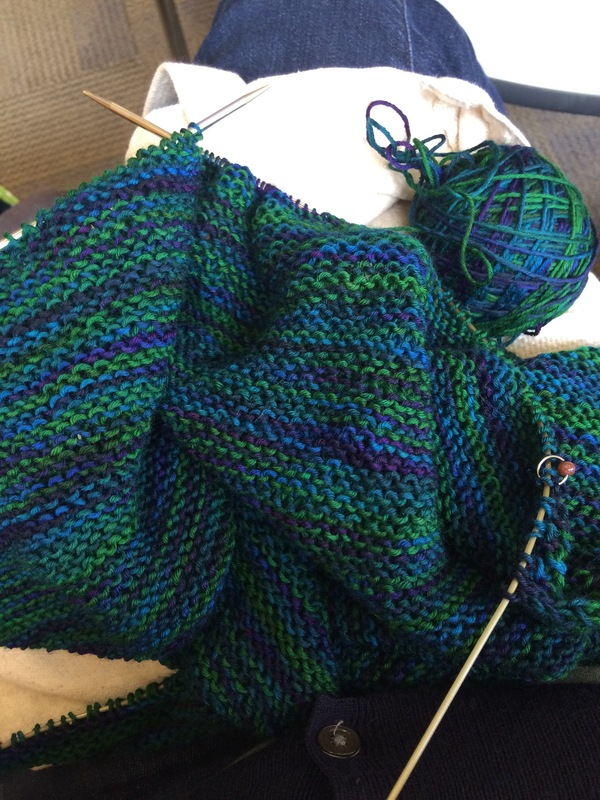 My Trillian scarf has been going pretty well. The other day I weighed the ball of yarn, and it was around 42 grams. Now, with this pattern, you’re supposed to knit until you have 7 grams left. Well, after getting down to 40-some grams, I’ve been inspired to finish this thing up! I’ve been working a few rows a day, and weighing it every so often, and suddenly I’m down to 22 grams! Only 15 to go – each row is a bit over a gram at the moment, with each successive row using up a bit more yarn than the previous rows, so fewer than 20 rows to go, I estimate. Yay!! !